While working in a comfortable, climate-controlled office may seem safer than many other occupations, office environments can still pose a significant risk to worker health and safety. Repetitive stress. The repetitive nature of office tasks can result in repetitive trauma injuries. This happens when frequent use of the same muscle motions leads to inflammation of nerves and muscles, causing pain. Spending all day in front of a computer can strain parts of the upper body, arms, wrists, and hands, leading to conditions such as carpal tunnel syndrome. Joint and muscle damage. Many office workers suffer from poor posture due to spending most of their day seated at a desk. A sedentary office job can lead to a narrowing of the spinal channel, known as spinal stenosis. Other causes of joint and muscle pain include injuries sustained while bending, reaching, or climbing stairs. Lifting injuries. Most workplace back injuries are caused by improper lifting. Lifting and carrying heavy items, such as boxes of papers, is a daily task for many office workers. Even small, lightweight loads can cause injury to the back, neck, or shoulders over time if a worker uses poor lifting techniques. Toxic buildings. 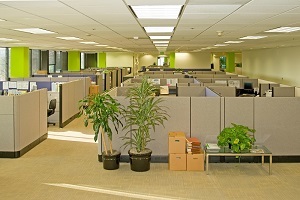 Closed air circulation systems in many office buildings may routinely expose employees to volatile organic compounds and microorganisms. This can eventually lead to acute poisoning or chronic illness. When Legionella bacteria circulates through ventilation systems, it can cause Legionnaires’ disease, a potentially fatal pneumonia. The moist environments of air ducts can lead to mold growth, triggering allergies, asthma, or organic poisoning. Workers suffering from occupational injuries and illnesses qualify for workers’ compensation benefits. However, proving that these types of injuries are strictly work-related can be extremely difficult. If you’re the victim of an unsafe work environment, you need an experienced attorney to help you prove your case. To learn more about what the law offices of Steve M. Lee, P.C., can do for you, visit us on Facebook. Is Asthma an Occupational Illness?